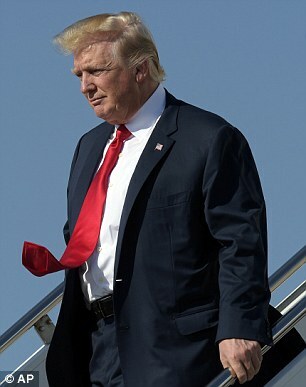 Dark coat waving, tie curling, eyes focused in imperial triumph, what could be more awesome than the American Don alighting from Air Force One? This is not the Don of The Godfather, who measured his might in mere horse heads and bedposts. This is our President Don, who commands the mightiest military in history. But Don has a problem. The fridges are acting up on both Presidential Boeings, not being cool, when they should. Call them undependable deplorables, needing replacement, like Senator Lindsey Graham at a voice-cracking contest. Warm beer, anyone? The specs call for 70 cubic feet of space, doors, a little light inside, and I suppose stainless steel might be nice. These coolers would be like a big version of those 24 cubic foot jobs, that Sears would like to sell you before all their stores close. Why am I so concerned about saving money on flying fridges that only have to last a couple years until the new ($2,000,000,000 each) Air Force One replacements arrive? Any country that has to hike Medicare premiums on the poorest of its citizens by 24% this year is in financial trouble. The reason for this seemingly callous action is our national need to fund the growth of the military 2018 budget to $700 billion, which Senator Graham says is vital for defense of our 330 million well-armed Americans from an attack by 25 million emaciated, near-sighted North Koreans. Finally, after much research (Google, 5 minutes) my quest for two fridges at a fab price was successful, and America can now save mucho money on repairing our two Presidential planes from the 90s. I requested a quote from the nice folks at webstaurantstore.com, and they offered me an exclusive price on a beautiful stainless steel, 74 cubic foot, industrial quality fridge. Instead of the standard price of $5,968.91, I can get this beauty at $4,970.80 each. 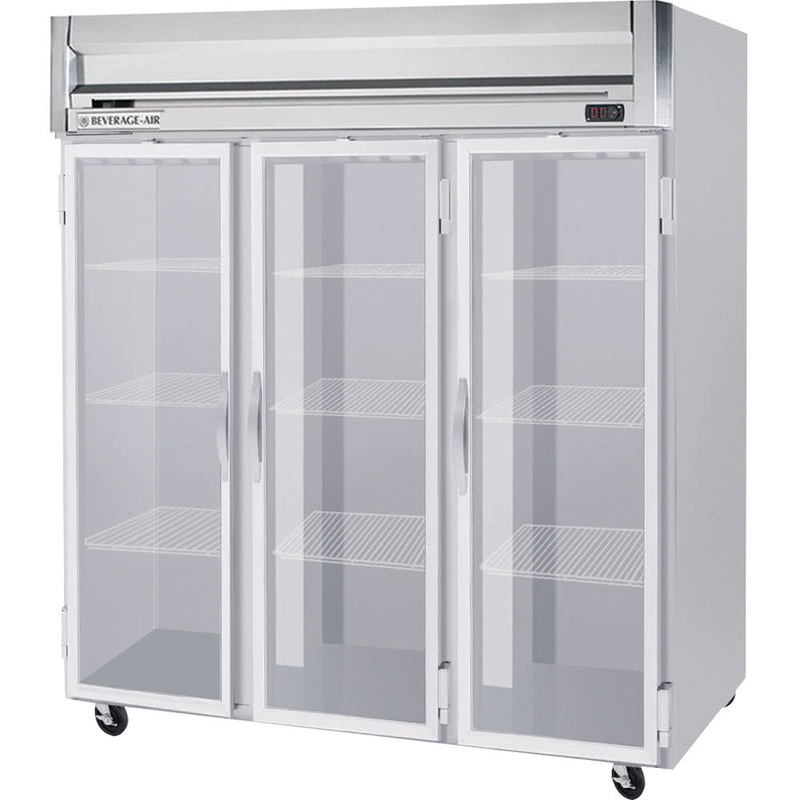 Keep fresh ingredients and open food product chilled and close at hand thanks to this Beverage-Air HR3-1G-LED Horizon Series 78″ glass door reach-in refrigerator. The cabinet is insulated with 2″ thick, foamed-in-place CRC and HCFC-free polyurethane insulation, which adds structural strength. It also uses R-134a refrigerant in order to keep the cabinet cold between 36 – 38 degrees Fahrenheit. The doors, made from “Low-E” double pane thermal glass, also make it easy to identify the refrigerator’s contents without opening it. Plus, each door has a positive seal self-closing design and 120 degree stay open feature, great for when you have your hands full. Inside, the unit comes with heavy-duty epoxy coated wire shelves that are adjustable in 1/2″ increments so you can maximize the 74 cu. ft. storage space. Interior LED lighting also ensures better visibility, making it easier to see product. In order to last longer, this 1/2 hp refrigeration system comes with an epoxy coated evaporator, making it resistant to corrosion. Its top mounted compressor also pulls in warmer air, making it optimal for performance in cooler environments. Plus, the compressor is less likely to clog. This system also comes with 6″ heavy-duty casters, 2 with brakes. But, there are hundreds of different large commercial fridges on the web, and companies seem able to produce anything you want for less than $5,000. Imagine what they could do if you allowed them to spend $10,000 each. You might get some gold plating, and that, my friend, would certainly tickle the Don. Forget fake specs, because we can appreciate something direct and simple about a refrigerator. It keeps things cold. It doesn’t possess a weapons system or need two keys to operate. You pull the handle and take out the six pack. All this would be fine, except the defense brain-trust has already awarded Boeing (who makes planes) a contract to make the two refrigerators. Unless that contract can be broken, we may not save a lot of money by using my suggested supplier. The Don could intervene, and tell Boeing to email webstaurantstore.com and just order two fridges and mark up the price 100%. They could bill the generals $40,000, and pocket $20,000 profit. Instead, I bet you two GE Sharpies the powers-to-be will honor Boeing’s present contract for $23,700,000 to install two fridges. That’s $11,850,000 each.